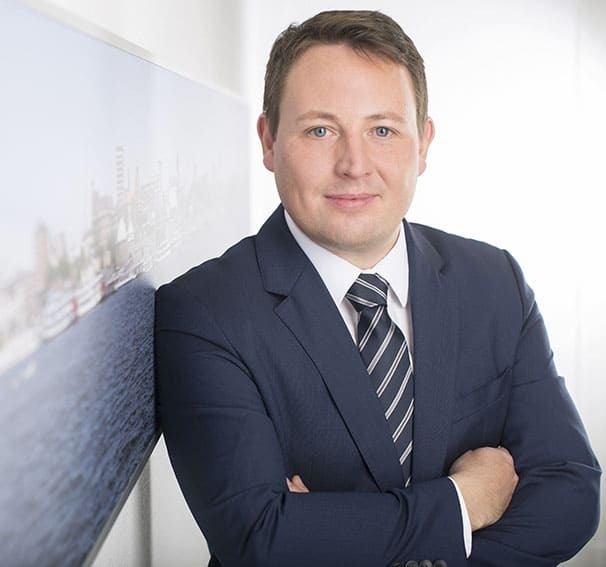 Mr. Jacob holds a diploma in mechanical engineering and business administration from the Braunschweig University of Technology and works in the Physics and Engineering team in the firm’s office in Hamburg. He focuses on patent law, including prosecution, opposition, and opposition appeal proceedings before the German Patent and Trademark Office and the European Patent Office and provides legal opinions on the validity and infringement of patents. The key aspects of his technical expertise involve mechanical engineering, in particular machine elements, production and manufacturing technology, machine tools, hydraulics and pneumatics, and medical technology. Prior to joining Uexküll & Stolberg in 2016, he worked for a renowned law firm in Frankfurt am Main. Prior to his qualification as patent attorney, he worked in the capacity of research assistant at the Institute of Automotive Engineering at the Braunschweig University of Technology.